Maple Valley Design Build, Inc opened doors in 2011, literally and figuratively . . . the goal was to completely integrate the design and construction process in order to provide the client with a better PROCESS and a better PRODUCT. To this end, Owner and Architect, Greg Boshart AIA has patiently assembled a team of craftsman as a melting pot of ideals, experiences and expertise woven deeply into the design and construction fabric that is Maple Valley Design Build. With carpenters and architects under one roof, the process is inherently more interactive and agile. In the end, this means more VALUE, better QUALITY, greater EFFICIENCY and a BETTER PRODUCT . . .
Jeff has been in the building industry for over 12 years. As a carpenter most of his background is in custom home construction coupled with an in-depth knowledge of millwork, fenestration and quality building techniques. Growing up in nearby Cambridge, NY, he developed a deep appreciation for the history of our area and the fine homes and structures that have dotted the New England landscape for generations. Now he is raising his own family here and building on the legacy of generations before. Jeff is conscientious of every detail along the way in order to ensure our work stands the test of time. He strives to meet all of our clients needs and wishes, all while provided an enjoyable construction process. Old world techniques and modern day science come together everyday as we help realize your dreams. When not building, Jeff enjoys the great outdoors and coaching his kid's sports teams. His wife is a local teacher and musician and they are actively involved in the community. Kevin received his Master of Architecture degree from Norwich University in 2012. Since then he has been working on completing all of the requirements to become a licensed architect in Vermont. 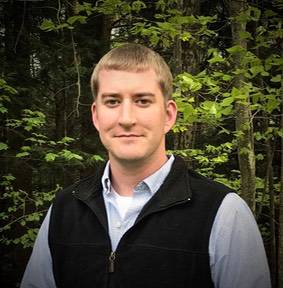 He has over 6 years of experience designing and detailing residential and light commercial projects in Vermont, New York, New Hampshire, Massachusetts and New Jersey. Kevin enjoys being a part of the collaborative design build approach. He feels it is a very efficient way to develop a design and make it a reality. The progression of ideas along with input from all of the parties involved ensures there are no missed opportunities when the project is complete. In his spare time he enjoys being outside and exploring all that Vermont’s different landscapes have to offer. He enjoys hunting, fishing, flying single engine aircraft, and spending time with his wonderful wife, Casey. Pete has over 40 years of experience in the construction industry, with most of his time spent building custom homes around the Northshire. His family has deep roots in Manchester and his attention to detail, precision and patience is second to none. 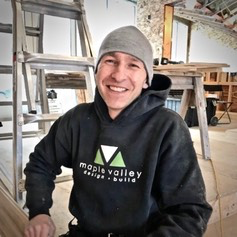 Pete can accomplish any task given to him, from framing to precision cabinetry, and he confronts all jobs with a dedication and pride that embodies the ideals of being a professional carpenter. He also enjoys a good laugh and you can often see him traveling to watch college hockey games across the state or spending time hiking the trails. Pete and his wife also enjoy time traveling to visit their two daughters, one in California, the other living in Burlington, VT.
John takes deep pride in his work and is steadfast in his attention to detail. He understands that it takes precision and patience to make homes that meet the Maple Valley standards. John grew up near Bennington and is now living in Shaftsbury with his wife and daughter. He spends most of his weekends updating his old farmhouse, but he most enjoys time with family and friends. John also has attended courses at the Yestermorrow School, and has personal interests in timber frame construction and cabinetry fabrication. Kyle epitomizes everything Maple Valley holds as its core principles. He is hard working, honest, professional and above all else is a great carpenter. He can handle every task from framing to fine finish carpentry with precision and efficiency. As with most carpenters, he also spends a lot of his personal time improving his family’s home in Shaftsbury. With 4 children, he and his wife have their hands full, but his family loves taking camping trips and spending time together. Tyler is a recent graduate of Burr and Burton Academy in Manchester and quickly decided to pursue a career in carpentry. He has a hunger to learn and has developed the skills needed for a long and successful career as a carpenter. Along with being a carpenter, Tyler has been given the additional and important task of maintaining the tools and equipment that we use on a daily basis. He understands that a craftsman can only reach their full potential with the right tools that function the right way. His oversight of this part of our trade is extremely important to ensure a safe and productive working environment for everyone. Jason has spent many years building custom homes and specializes in cabinet making. He enjoys his work and pays close attention to detail. Jason takes pride in true craftsmanship and has high respect for the trade. You can see this in his strong work ethic. Jason lives in Shaftsbury with his wife, daughter, and two dogs. He continues to spend a lot of his spare time remodeling his home by adding custom touches in almost every room. Most of all, Jason enjoys time spent with his little family and can be found on local riverbanks fishing throughout the summers. 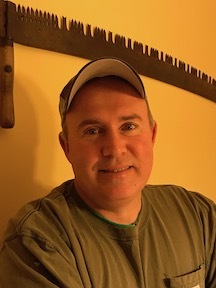 Jeff had attended Vermont Technical College for construction trades and has since spent the last 30 years working closely with both clients and architects. Jeff appreciates a job done right and takes pride in seeing them through. In his spare time Jeff loves to hunt and work at customizing his own home. Rick and his family have a long rooted history in southern Vermont. Growing up in Manchester, Rick developed a love for woodworking and drafting. He is a Burr & Burton graduate and then attended St. Michael’s where he received a degree in education. Ricks desire to learn and strong carpentry skills have served him well, from building yachts in Australia and New Zealand to working on many of our areas most lovely homes. Most of all Rick enjoys time spent with his family. 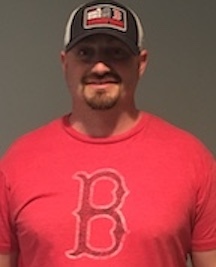 He has three children who take most of his spare time these days but he also loves to work on his own home and take in a Red Sox game as often as possible.